The days immediately following Christmas 1906 were bleak across much of Britain, with heavy falls of snow, icy temperatures, strong winds, even thunder and lightning. Much to the disappointment of North East football fans, the Tyne-Wear derby due to be played at Roker Park on Saturday 29th December, was postponed. Newcastle United’s Colin Veitch could be forgiven for secretly welcoming the enforced rest. Footballers in those days faced a punishing schedule over the festive period that would make today’s superstars blanch. In the previous week Newcastle had already played three matches. The derby was due to be their fourth in eight days, all away from home, at a time before luxury travel, pristine pitches or squad rotation. The previous Saturday, 22nd December. Newcastle had played and beaten Manchester United at United’s Bank Street ground. Colin had scored a penalty in a 3-1 victory. 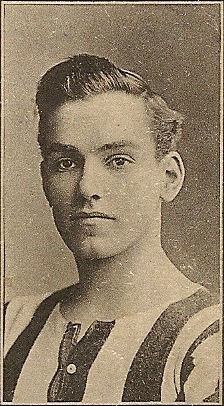 Veitch’s defensive performance in shackling United’s best player, Menzies, was singled out for particular praise in the press. Perhaps the game took a lot out of the Tynesiders because three days later, on Christmas Day, Newcastle travelled to Blackburn where an almost unchanged team (just one of the full backs being replaced) suffered their heaviest defeat of the season, 4-0 in front of a big holiday crowd of 35,000. And the unrelenting schedule continued the following day, Boxing Day. Snow was already carpeting much of the country but players and fans, not to mention train companies, were clearly made of stern stuff back then and United fulfilled their fixture at Stoke City. There were just two further team changes and Colin played his third game of the week in a 2-1 United victory. The win left the Magpies just two points behind Everton at the top of the league. Newcastle will have had a long and difficult journey home and, had it not been for the weather, would have played their fourth away game in eight days the next Saturday. 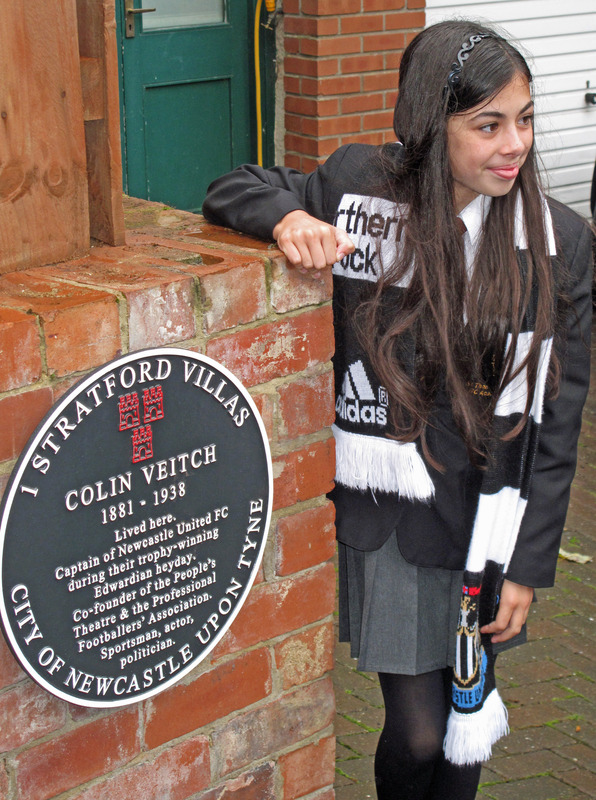 Colin Veitch and his wife, Minnie, had recently moved into a new house at 1 Stratford Villas, Heaton, where on September 25th Colin’s achievements as a footballer, an actor and a politician will be recognised when the Lord Mayor of Newcastle unveils a commemorative plaque. We’ve chosen to highlight this period of Colin’s football career because, when carrying out work on their home, the current owners of the Veitches’ former house, found a copy of the Evening Chronicle dated 29th December 1906 under the floor boards. It doesn’t take too much imagination to guess that instead of sitting with his feet up on his unexpected rest day, Colin had instead found himself crouched under the floor mending a burst pipe. His day would get even worse, championship rivals Everton beat Middlesbrough 5-1. But Colin and the team soon got back to work. 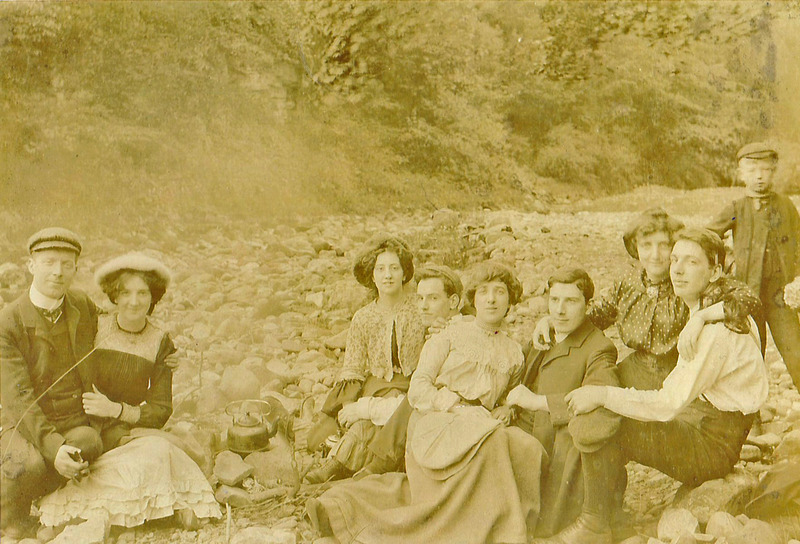 Just two days later on New Years Day 1907, they at last played a home game. A football-starved Newcastle crowd of 30,000 cheered the team to a 2-0 win on an what was by all accounts a quagmire of a pitch. Colin and most of the Newcastle team played their fourth match in eleven days but, luckily for them, it was their opponents Derby County’s fifth! 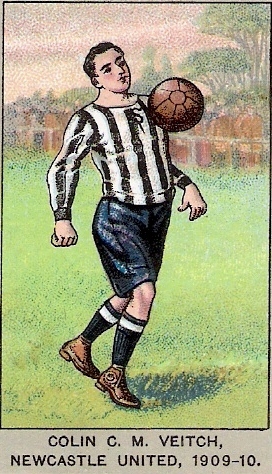 Not to be outdone though, Newcastle played a friendly the following day against Corinthians and won 3-0. United lost to Everton later in the month but showed much greater resilience than their rivals over the second half of the season. They won three matches in four days over Easter and on 7 April, when Blackburn beat Everton, the Geordies were confirmed as champions for the second time in three years. This was undoubtedly the Magpies’ golden era: in the eight years between 1904 and 1912, they won the league three times and played in five FA Cup Finals, albeit winning only once. 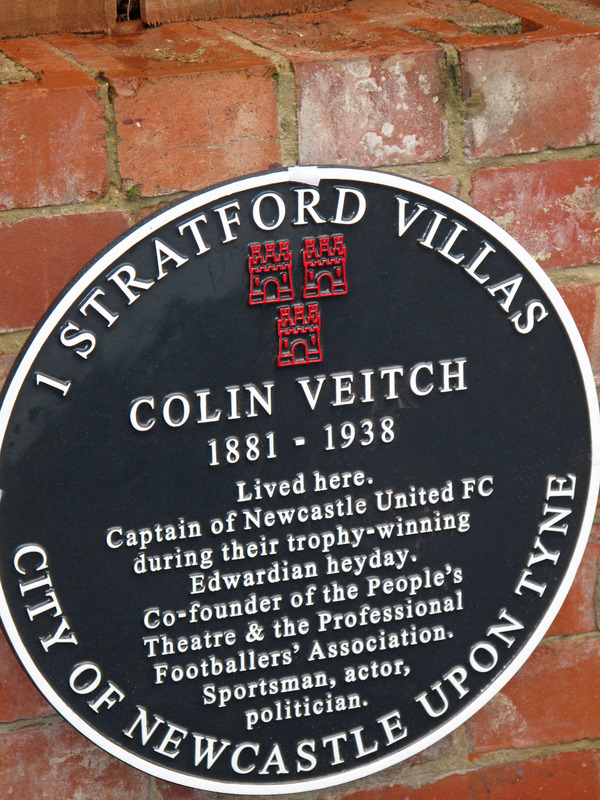 Not only did Colin Veitch play a leading role in the football team’s success, he was also, in 1907, a founder member of the players’ union and in 1911, a co-founder and leading actor (and composer) of the People’s Theatre. In his spare time, he also wrote for the Evening Chronicle! 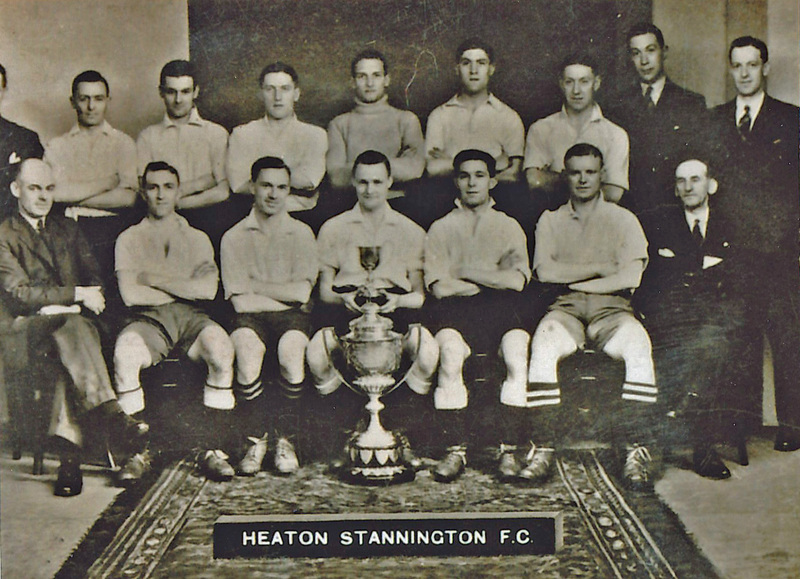 Come to our talk at the Corner House, Heaton on Wednesday 25 September to find out more about Colin Veitch, his part in the history of Newcastle United, the PFA and the People’s Theatre – and what his story tells us about the Edwardian era and life in Newcastle and Heaton at that time. Booking is essential as a capacity crowd is expected! 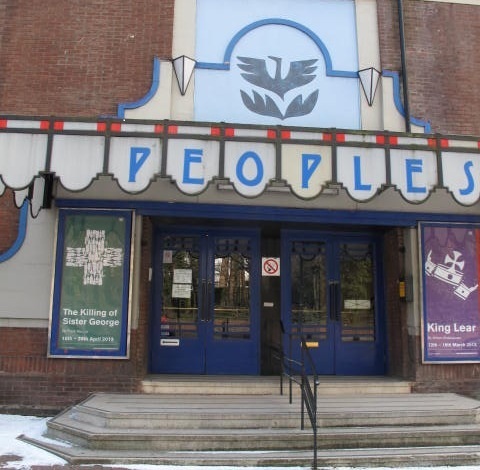 Contact maria@heatonhistorygroup.org/ 0191 215 0821 / 07763 985656 to book a place. The plaque, which will be unveiled earlier in the day, has been made possible by Newcaste City Council, the PFA and private individuals. 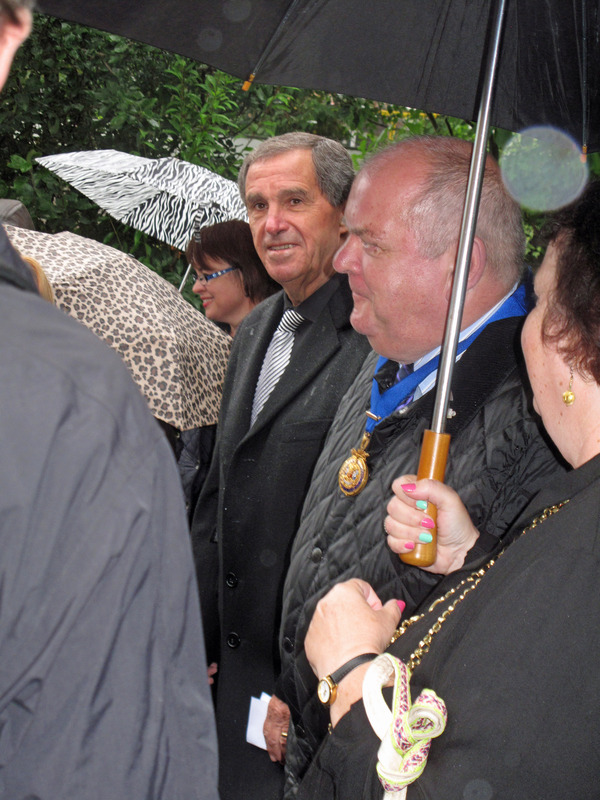 We’re delighted that we’ll be joined at both events by members of Colin’s family, who are delighted that his achievements are being recognised by the city. 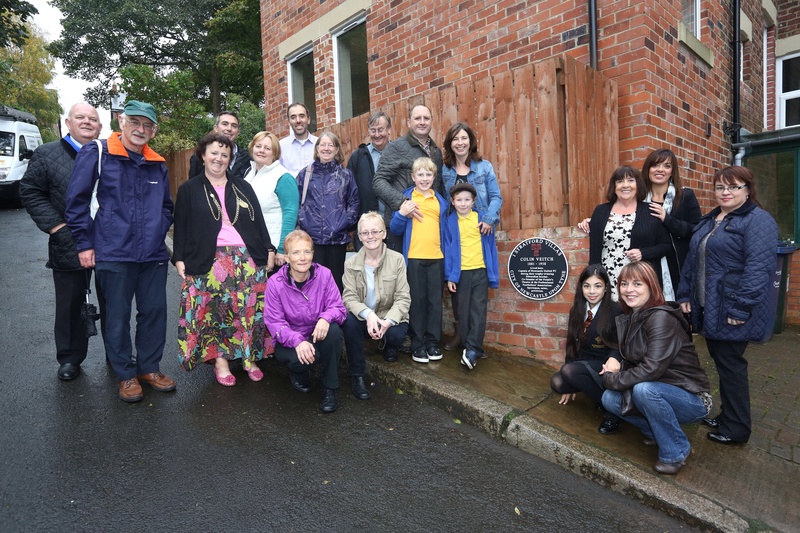 This entry was posted in Events, Research and tagged Colin Veitch, plaque, Stratford Villas on August 29, 2013 by oldheaton.